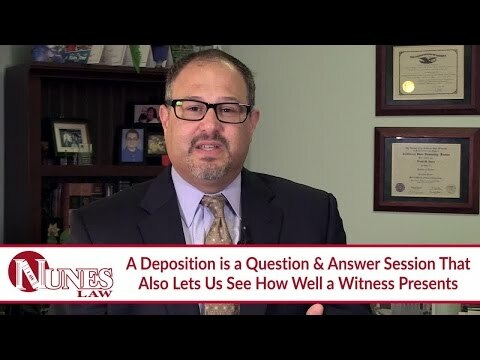 If you are involved in a lawsuit in California, you may want to take a deposition because it will allow you to learn about the other side’s case. This process is a question-and-answer session where we can ask questions of those people who witnessed the events and evaluate how the other party answers questions. A major benefit from these sessions is that we can narrow the issues. Eliminating or coming to an agreement on certain items allows us to move to other important topics. For example, if there is agreement regarding negligence that caused a collision, the focus can move to the question of how much damage there is. Watch the video to learn more. If you have additional questions regarding taking a deposition, I want you to call me at (559) 436-0850. I welcome your call. Visit our educational website at https://www.nuneslaw.com for more videos and media content from our law firm.